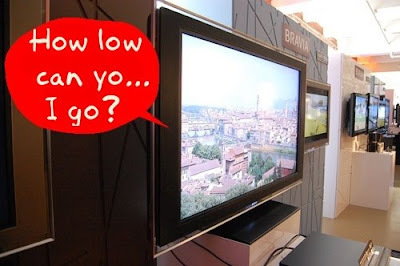 Wait on buying your TV. 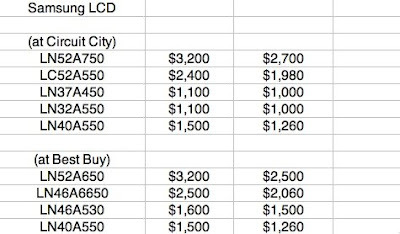 Fresh off a round of price-cuts barely two months old, Mitsubishi, Sharp, Panasonic and Samsung will drop prices on their sets by as much as $400 in the coming weeks. 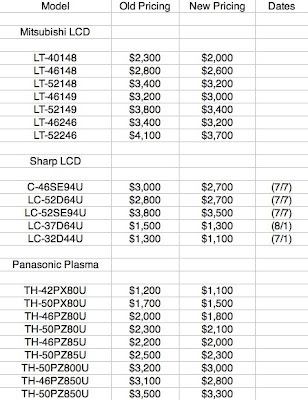 *Note: The following are "minimum advertised prices". Street pricing, or what they actually charge in store after sales, etc., is usually much less.